Introduction talks about short wave interferences, conceptual radio, haunting songs, crappy record players in book stores, strategies to avoid paying copyright to the copyright agencies. Declaring independency. Donate and throw your bitcoins at us and handless beggars in the street. Explanation of Andy Birtwistle’s work on the cassette tape. Read it here. Shephard and Van Alebeek play four tapes: Salute to Vinyl, The International Refuse Collection, Audio Cassette Tape and Needle Drops and Run-out Grooves. There are too many images and thoughts to put down here in words. 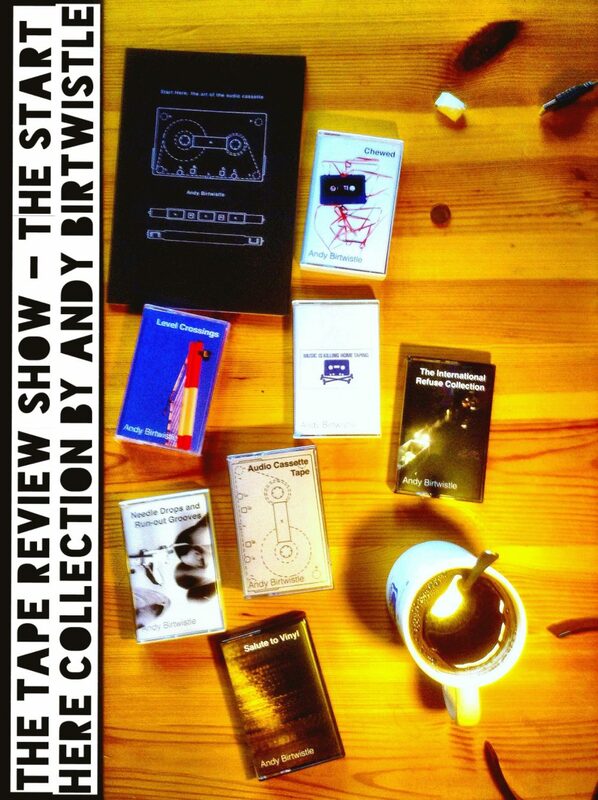 Adrian and Rinus play fragements of the tapes and talk about their impressions, memories, thoughts and visions. The stories jump from the realistic to the absurd, the critical to the approving, the ordinary to the very ordinary. The listener will get an idea of life in present day Berlin, but also a personal impression of the works by Andy Birtwistle.